During his final year at Rogersville High School, senior Chad Yates had his eye on the new girl. “I was new to the area, but I started dating someone else first,” Jessica says. “Chad was very persistent, and the second the other guy and I broke up, Chad sent me a message on Facebook.” Not long after, the two began their relationship. The two dated for six years before Chad popped the question, but he made sure his proposal was one for the books. “I have ridden horses my whole life, and horses are my life,” Jessica says. “We started out the day with a trail ride. After riding, we enjoyed a nice dinner, and then on our way home, my mom called and said they had found new kittens in the barn and I needed to come see them when I got home.” The two went to Jessica’s house, and Chad pulled into the barn. “All of my horses were in their stalls, and there were Christmas lights and hand-picked wildflowers everywhere,” Jessica says. As Chad got down on one knee, Jessica was greeted with another surprise. “Our family came out from the back of the barn, all full of smiles,” she says. 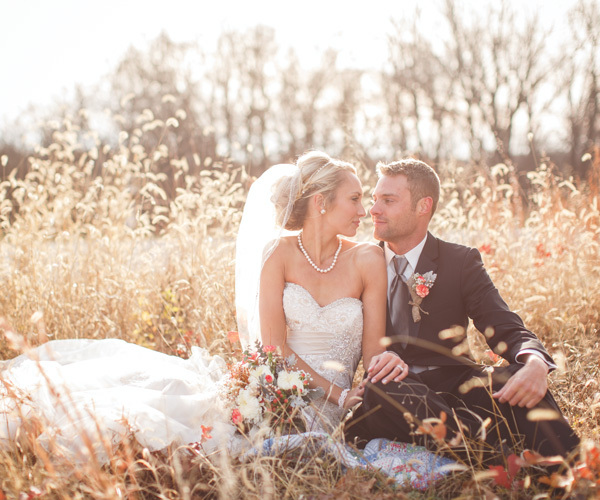 The two were married four months later at The Loft at Keith Farms in Ash Grove. Jessica’s maid of honor was her best friend Paige Pennington, and her matron of honor was her sister-in-law Shannon Britton. 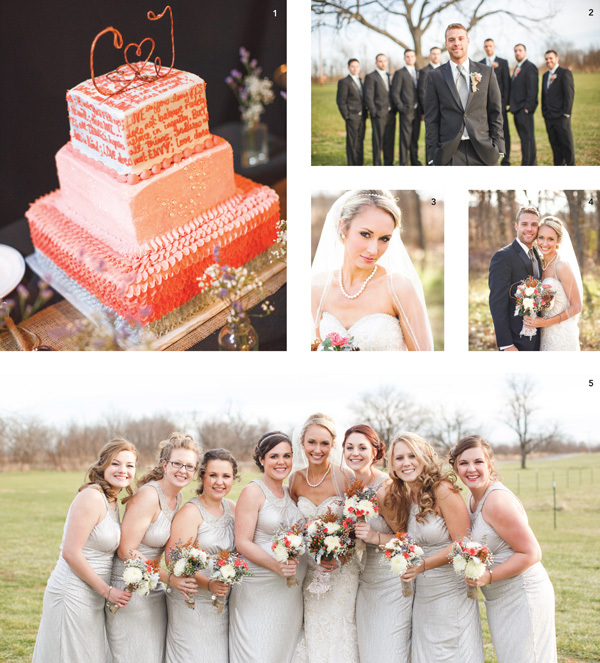 Her bridesmaids were Hayley Boever, Andie Dole, Victoria Hatch, Lauren Medley and Abby Steelman. Chad’s best man was Seth Connor, and his groomsmen were Jeff Britton, Justus Boever, Jeremy Kolb, Wes Clay, Austin Fax and Justin Dougherty. Guests enjoyed a variety of desserts including pies, cookies and a cake by Beth’s Bake Shoppe. After getting their fill of sweets, guests enjoyed live entertainment by All that Music DJ service. Today, Chad teaches business and is the head baseball coach at Spokane High School, and Jessica owns her own photography business, Jessica Yates Photography. The couple lives in Ozark with their puppy, Ozzie. 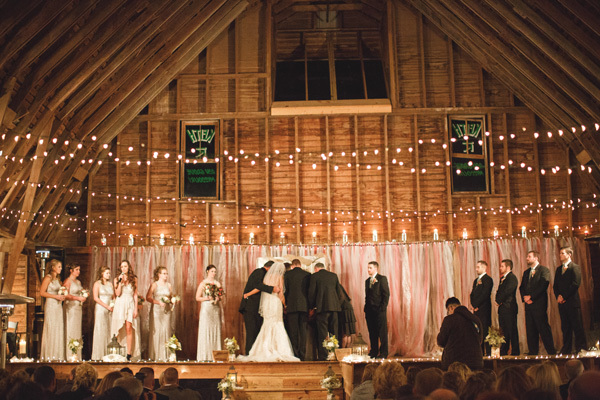 The Loft at Keith Farms served as the perfect backdrop for the couple’s country-chic wedding. 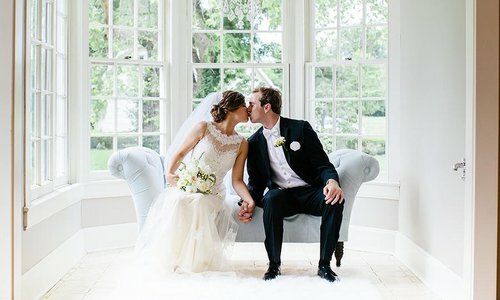 To transform the space into an elegant venue, they decorated with an assortment of wildflowers, wreaths, twinkle lights and even a custom backdrop created from tulle. 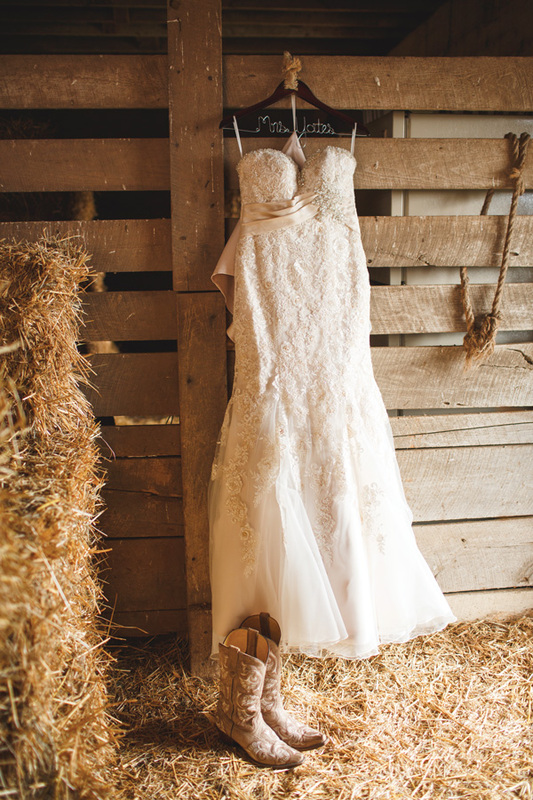 After spending her whole life riding horses, Jessica knew she wanted to walk down the aisle in a trusty pair of cowboy boots. 1. Guests of the wedding enjoyed a plethora of sweets, including a three-tier cake by Beth’s Bake Shoppe. Guests also enjoyed a hot chocolate and s'mores bar that helped keep away the cold temperatures outside. 2. Chad and his groomsmen dressed in classic dark suits, which made their fall-colored boutonnieres stand out. 3. 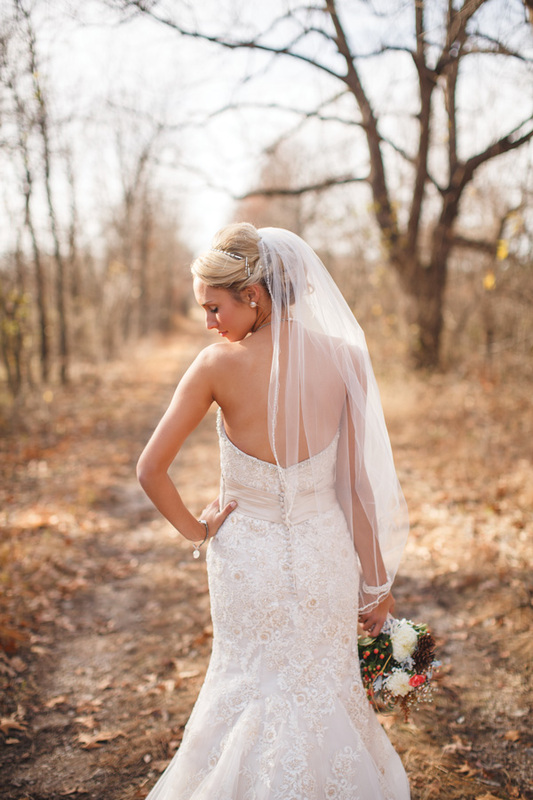 The sweetheart neckline of her wedding gown and simple tulle veil looked stunning against the glowing golds and greens of the surrounding landscape. 4. Jessica found the perfect wedding gown at Normans Bridal. 5. Jessica and her bridesmaids carried beautiful bouquets that incorporated pops of fall colors including deeps greens, bright reds and soft purples. 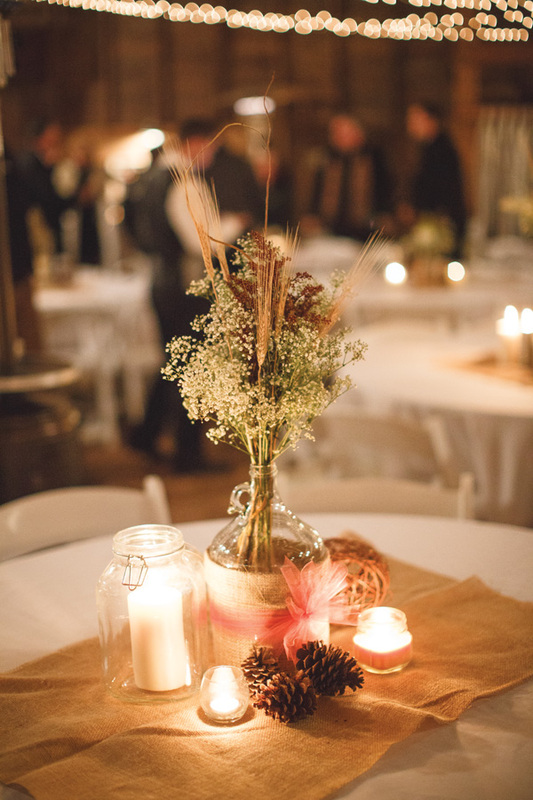 To transform The Loft at Keith Farms into an elegant, rustic wedding space, tables were decorated with candles, pine cones, burlap and a variety of natural elements. Athena Gideon is the woman in charge at Enchanted Hills Weddings & Events—the place where she grew up and got married. 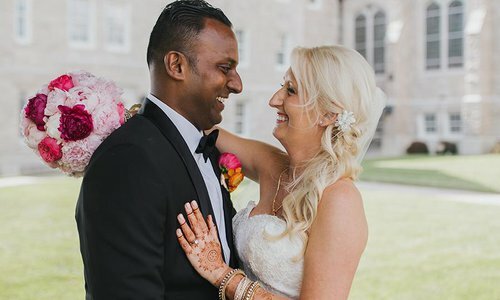 Worlds collide at this couple’s intercultural brightly colored celebration. 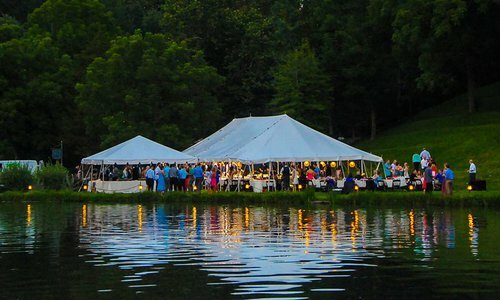 The elegant backdrop of Haseltine Estate created a preppy feel at this wedding. 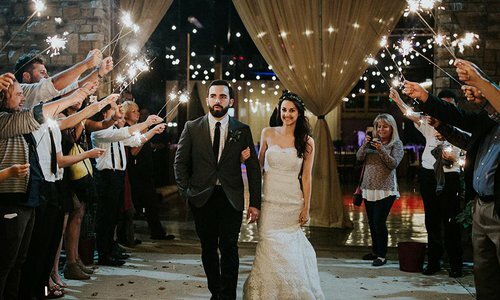 Warm jewel tones made this bohemian wedding a laid-back affair to remember.